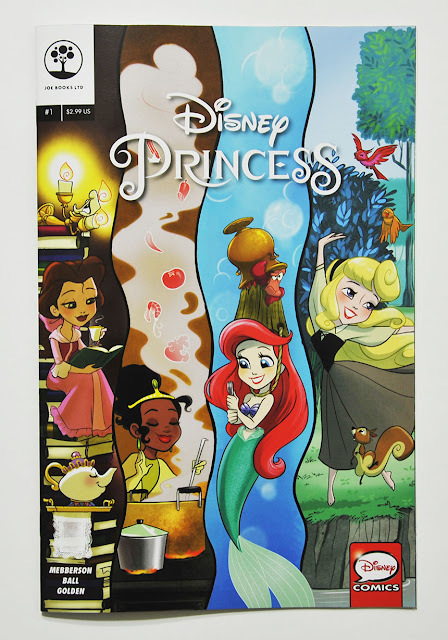 The first issue of Disney Princess from Joe Books came out this week. All artwork is by Amy Mebberson, while writing is done Amy, Georgia Ball and Geoffrey Golden. I’ve been curious about this project for quite a while now. We got the first look at some strips back in 2014; then planned to be a series of digital comic strips and a subscription service. That plan was never realized and instead we now got this printed comic book with strip stories. None of the early preview strips with characters from Frozen, Wreck-It Ralph and Lilo and Stitch are included in the first comic book, so it seems the project was changed to be princesses only too. I don’t think Elsa (and Anna) have joined the official lineup of Disney Princesses yet, but maybe we’ll see the above strips under another title in the future. As I’ve already said a few times now, the comics in this series are comic strips like the ones we use to see in the newspapers, and not the regular type of comic book stories. Each strip has its own gag, but some also make small story arcs together. As seen on the image above, the first issue started with two single strips from Snow White and The Little Mermaid. Then the next two are the first strips in a 6-part story arc with Aurora and her fairies. Also, you can see the strips are printed sideways with two on each page. We got a total of 22 pages with comic strips like this in the first issue, while the rest (11 pages including the back cover) is a preview for an upcoming Zootopia cinestory book. I really hate these kinds of previews, it’s basically 11 pages of ads for just one publication and not what I intended to buy… I hope they don’t do it again. But even if they wasted 11 pages of the comic, $2.99 is not that bad a price. Still, IDW’s Disney comics (at $3.99) will give you a lot more comics for your money compared to this one. 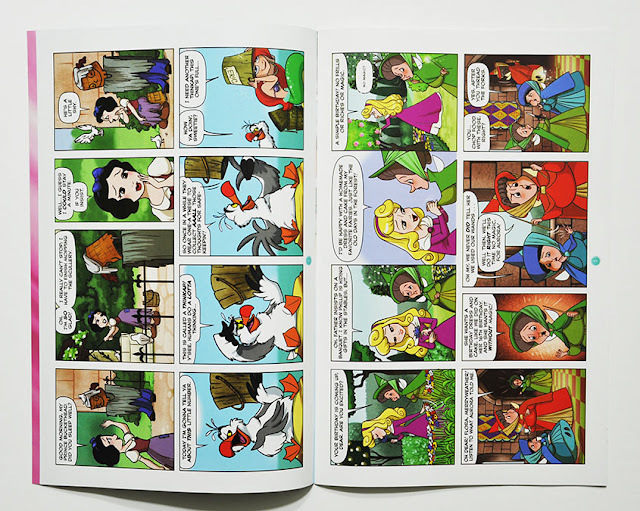 If you have followed American Disney comics during the BOOM! run and now IDW you might have seen work by Amy before. She’s done a lot of covers (like the Oswald one in my last blogpost) and also stories based on Disney•Pixar movies and the Muppets. Her best known work however is probably the popular series of Pocket Princesses. But while Disney Prinsess from Joe Books is an official licensed comic, Pocket Princesses is a fancomic. Both the humor and drawing style are very much alike though, so if you love Pocket Princesses you’ll probably like the new comic book too! The character design is also a bit different from the movies. In a short interview in the December Previews catalog, Amy said Disney had approved her design to be a "cuter, more comedic “chibi” style". It’s not totally chibi like Disney Cuties or a manga style like Kilala Princess, but expect large heads and big eyes :) The princesses still looks very much like themselves, so being a bit "off model" to be cuter is fine by me. 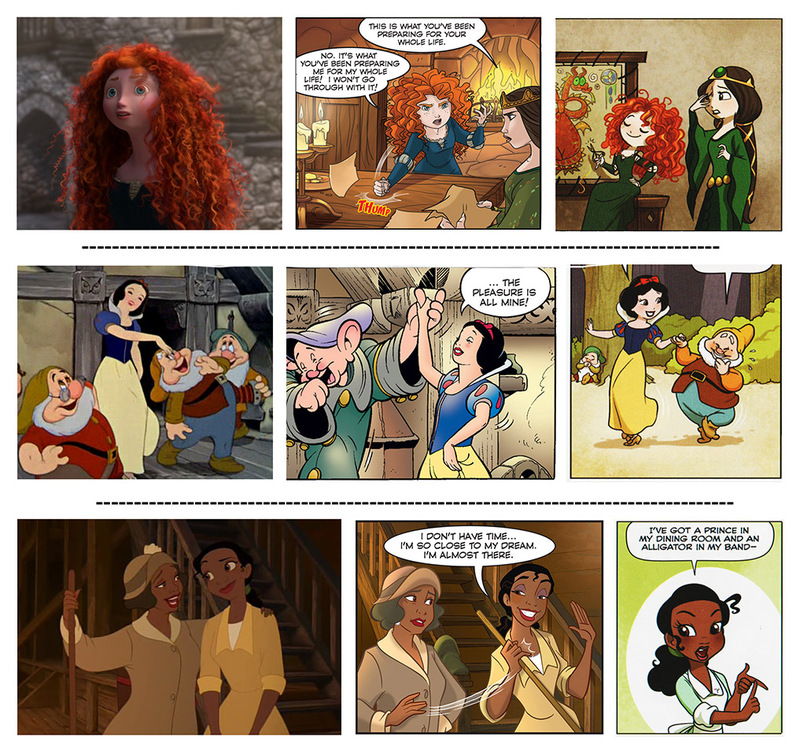 I tried doing a comparison with the movies (left), the comic adaptation of the movie (middle) and the new style in the comic strips (right). In Europe we’ve had an ongoing Disney Princess magazines for more than 10 years. But the stories in those are dumbed down, the princesses all live in a perfect world and if you’re not a pre-teen girl you’d probably not find anything interesting inside. The new series from Joe Books can’t be compared to those magazines at all! The humor worked fine on me, so I think both adults and kids can enjoy the comic strips in the new series. I’m going to get the next issue too! 3 more issues have already been announced in Diamond’s Previews catalog. Order codes: JAN161536, FEB161608, MAR161538. So it seems they are planning to release a new issue each month. According to a tweet by Amy, 8 issues are planned. Also, according to another tweet the comics are going to be available digitally too. I know some comics by Joe Books are available on iTunes in the same category as other Disney comics. But hopefully they’ll end up on comiXology too; that I think is a better platform for buying digital comics. 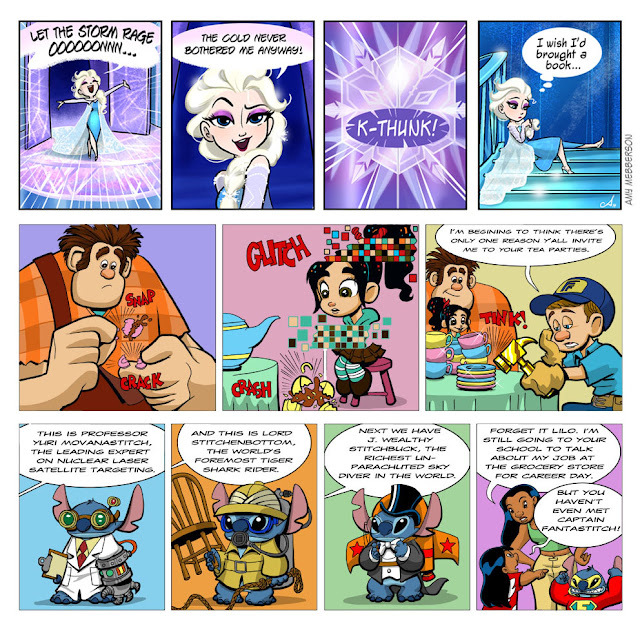 The website inside the magic got an exclusive preview and ended the article with "[...]the comic will feature new stories starring all eleven Disney Princesses. Further titles will include “Frozen,” “Finding Dory,” “Star vs. the Forces of Evil,” and “Harvey Girls." What this really means I have no idea, my impression was that all issues were going to be under the Disney Prinsess title. 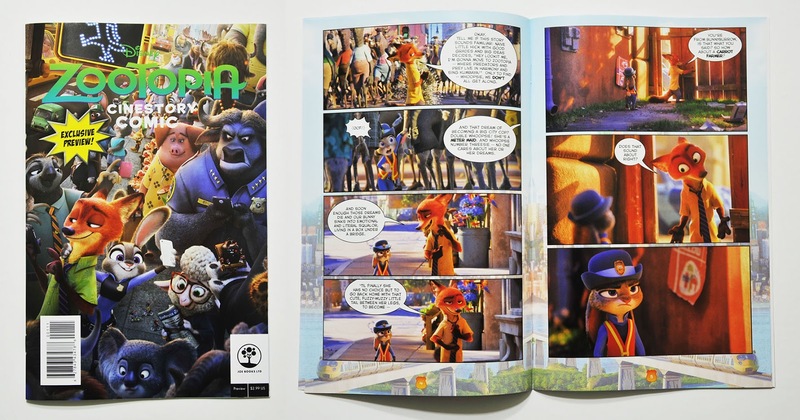 The April Previews catalog lists Finding Dory #1 from Joe Books, in addition to Disney Princess #5. So it seems Finding Dory gets its own series. I still haven’t seen any other news about an upcoming Frozen series – but that might happen too. Also, Disney Princess #1 is now available digitally on iTunes, Google Play, Kobo and as a kindle edition of Amazon. But I didn’t find it on Amazon owned comiXology, which is the only place I’d buy it if I wanted to get it digitally.